I had been east coast only once before on a road trip when I was 19 to New Brunswick. PEI wasn't on my radar then even though I was so close. 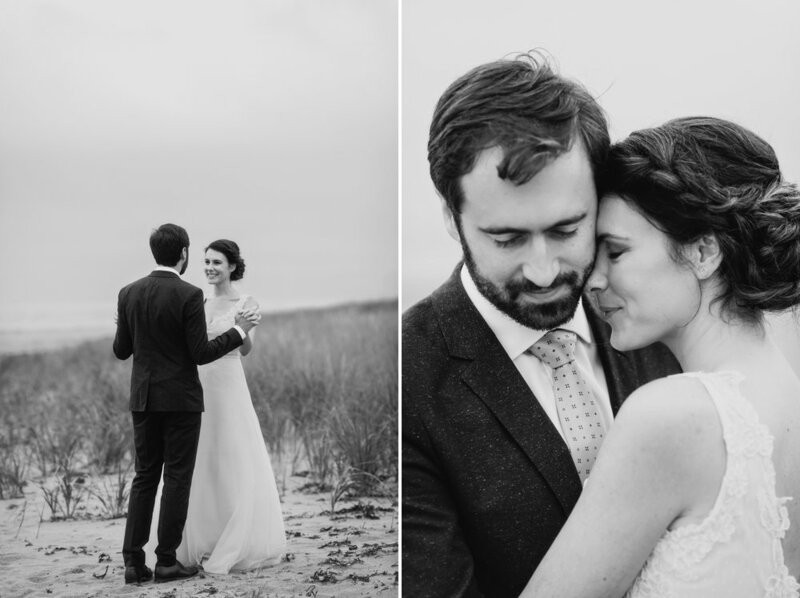 But when Kelly and Jeff asked me to come out to shoot I couldn't have been more excited - I took my wedding prep to a new level re-reading Anne of Green Gables, and I'm so glad that I have a reference for the red sand beaches, dune grass, and this part of my own country now. Kelly and Jeff's part of the country. Seeing Kelly and Jeff together the morning of their wedding was all I wanted. 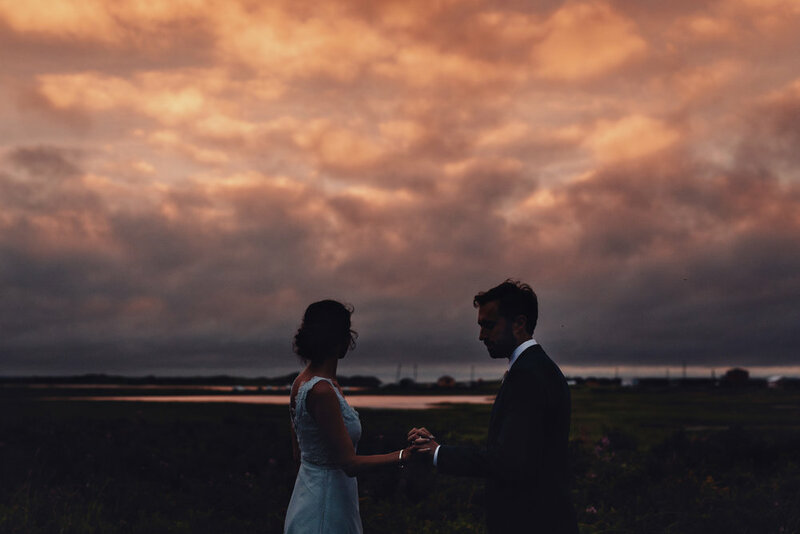 Mother nature decided to hit PEI with the only rain it had seen all summer the morning of their wedding. The power went out, the girls did their hair in the dark while Kelly's Mom, dripping wet moved the entire ceremony inside the tent they had set up earlier. It was stressful and as positive as I tried to be I knew Kelly was worried. As I drove Kelly to meet Jeff she said to me "It was so hard to spend this morning apart with the weather, as soon as I see him I know things will be okay." I knew she was right. The clouds lifted as Kelly walked the tree lined, red dirt path to Jeff and before we knew it we were on the beach smiling. What a day, what a weekend all on a little island in the Atlantic.